The spouses of some developers at Rockstar's San Diego studio, developers of the Midnight Club, Table Tennis and Red Dead games, have written an open letter to the management complaining about the workload and conditions the team are forced to bear. The letter claims that developers are nearly always working 12 hour days, 6 days a week, with no downtime or rest period provided between projects or deadlines. The extreme workload, which never seems to end, is causing depression and poor quality of life for many of the workers, alleges the letter. The letter is currently hosted over at Gamasutra and the allegations are reiterated and backed up in many of the comments that follow the story. The letter levels blame clearly at mid and upper management, who have abused trust of their employees by hiding deadlines and, in some cases, misleading developers as to the status of promised bonuses and royalties. "There are understandably times when crunching in work is needed and extended working time is expected," says the anonymous author. "However; as with all systems known to man, there must always be an effort for balance. Ergo, where there are times of acceleration, there are other times of deceleration in order to recuperate. This is not being practiced though, and instead of valued employees, a sentiment grows that they have lost not only the sense of being valued but turned into machines as they are slowly robbed of their humanity." Comments following the story reaffirm the problems at the studio, claiming that 14-16 hour days occur often and that taking a weekend off is something that must be requested weeks in advance. Pay disputes are another issue, with staff claiming that salaries have not been adjusted to meet inflation despite superlative performance reviews. Rockstar has not yet responded to the letter. The entire campaign mirrors the similar EA_Spouse blog which, back in 2006, was used to point out similar issues at Electronic Arts' studios. The EA_Spouse campaign was so successful that it led to a successful class-action lawsuit against the publisher that saw EA paying out $14.9 million USD to the plaintiffs in unpaid overtime. 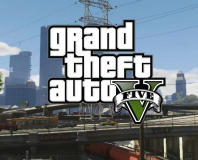 Red Dead Redemption and GTA V likely. 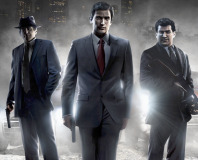 Joe dons his fedora and his raincoat to see if Mafia 2 is a game he can't possibly refuse.